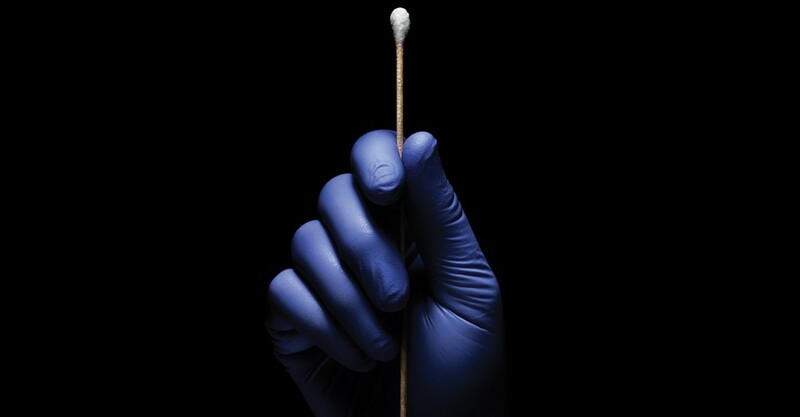 — Cheek Swab: Saliva can be used to test for paternity. Here are some pros for this type of testing. ●	A large amount of DNA can be collected from a small amount of saliva. ●	It’s a completely non-invasive test, meaning that there are no needles or any type of discomfort. — Blood Test: Most of the time, all of the DNA that needs to be collected can easily come from saliva, but there are a few times when a blood test is necessary. ●	For a prenatal paternity test a blood sample must be collected from the mother. Cells from the fetus float freely in the bloodstream of the mother, so to test paternity between the potential father and the unborn child, this method is the most effective. ●	With a blood test, the risk of accidental contamination is typically very low. — Urine Analysis: When it comes to DNA tests, you can test your urine to reveal early detection with any potential diseases. — Hair Follicle: The testing of hair follicles may be one of the most discreet ways in testing DNA. ●	In order for this type of test to be done, all you have to do is grab a few strands of hair and make sure that the root is still in tact.